With the Galaxy S III making a buzz around the globe, we are getting info that the smartphone will be headed to Japan with a slight different specification. Instead of the quad-core Exynos chipset, the smartphone will be launched with a dual-core Snapdragon S4 chip and 2GB of RAM (did I hear LG?). 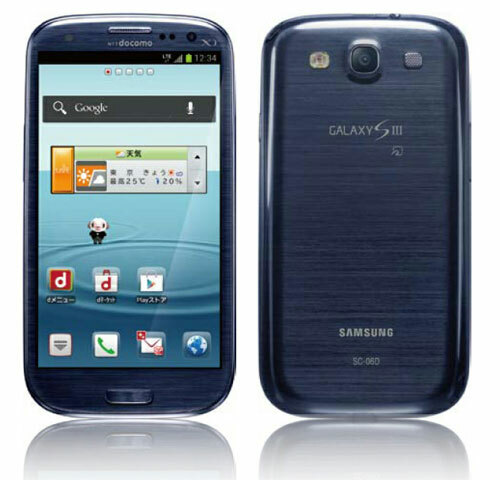 The news comes from Japanese carrier NTT Docomo which will be launching the Galaxy S III as model SC-06D in the coming months. So basically the S III now has two variants, one with a quad-core processor and 1GB of RAM and second with a dual-core chip and 2GB of RAM. Both the handsets are said to be available around the globe depending on the regions and carriers. Of course 2 gigs of RAM mean more battery usage, but then the S III is equipped with a 2,100mAh battery, so it should work fine. But what we really want to see is how the Snapdragon version of the S III compares to the Exynos version of the S III.